For most people, the purchase of their home is the single most important expense they will incur. For those persons buying a used home, the importance of securing a condition in the Agreement of Purchase and Sale for there to be a Home Inspection acceptable to the buyer is critical. Used homes are sold “as is”. There is no warranty express or implied. That means that it is incumbent upon the buyer to exercise due diligence to ensure that they know the condition of the home before the purchase is finalized. The issues outlined in this blog do not relate to purchasers of new homes. Newly constructed homes are covered under the Ontario New Home Warranty Program, known as TARION, which provides coverage over one, two and seven years for different items. Home Inspectors are not governed, at this time, by and provincial legislation. That means it is equally important for a buyer to determine the qualifications of the home inspector they intend to hire. In that respect, one of the questions should be whether the home inspector has Errors and Omissions insurance to cover them in the event of any defect or negligence in the preparation of the report. 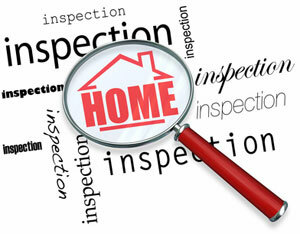 It is also important to check out calibre of the home inspector by asking for references from previous clients. It is also a very good idea to determine whether the home inspector has a background as a contractor or licensed tradesmen such as an electrician, plumber or heating and air-conditioning technician.